In the Summer 1986 while living in a dank downtown Orlando apartment with no TV or A/C, I went to the Public Library and for unknown reasons checked out some books on tape. 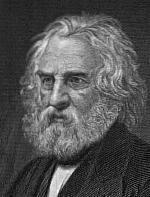 Among them were Poems of Henry Wadsworth Longfellow read by Hal Holbrook and Poems of Robert Frost read by the author. I was amazed then and now at their mixture of words, rhythm, timing and conceptual meaning. I was also amazed at their ability to capture the public's attention in their time and then stand the test of time after death. Nineteen years old and inspired, I decided to become the next Great Popular American Poet. Although that didn't happen (thankfully considering my early work is quite painful) my poetry became a release for the passions I faced in the romantic relationships of my life. Listing them now for your enjoyment has helped me greatly to put my poetical works into perspective. Whoever you are, I hope you find a few nuggets of inspiration to help light your path.